Adding a DGSI Mini-Logger to an Existing THREAD. Configure the THREAD to communicate directly with the Mini-Logger. MUX Configuration Specify the type of vibrating wire connected to the Mini-Logger. sensemetrics will automatically detect the Mini-logger connected and will bring in serial number and model number. The Vibrating Wire Sensor on the Mini-logger will now need to be configured to the specific VW you are using. Click the "Edit Configuration" button under VW Mux Information. 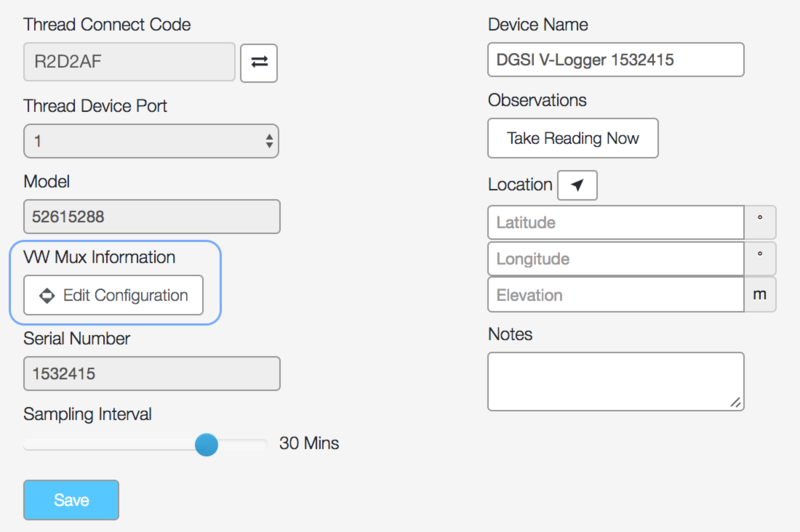 If you have exited device configuration, click back into the DGSI Mini-logger by finding it in the Devices & Sensors list on the right hand side of Network. This will open the Device configuration settings. Once saved, the configured vibrating wire sensor will populate beneath the DGSI Mini-Logger Device and can be viewed by clicking the drop down arrow.